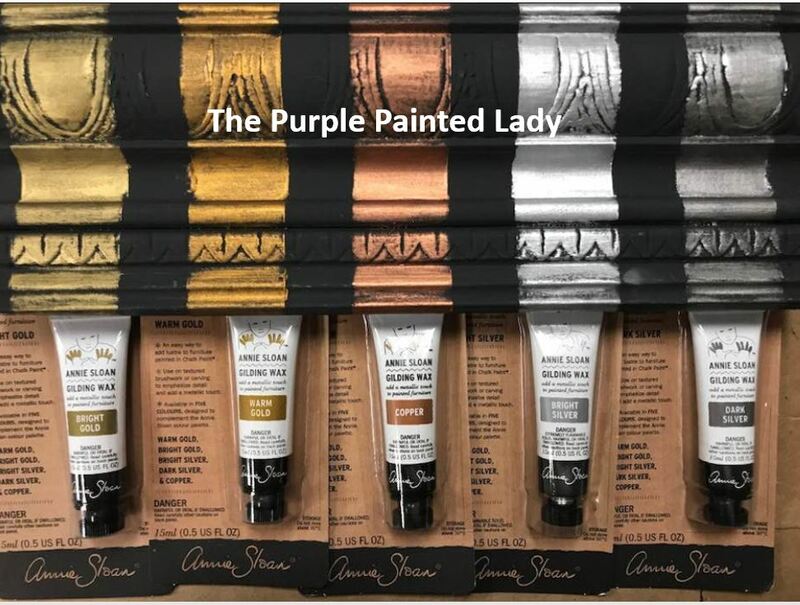 The Purple Painted Lady | YES! 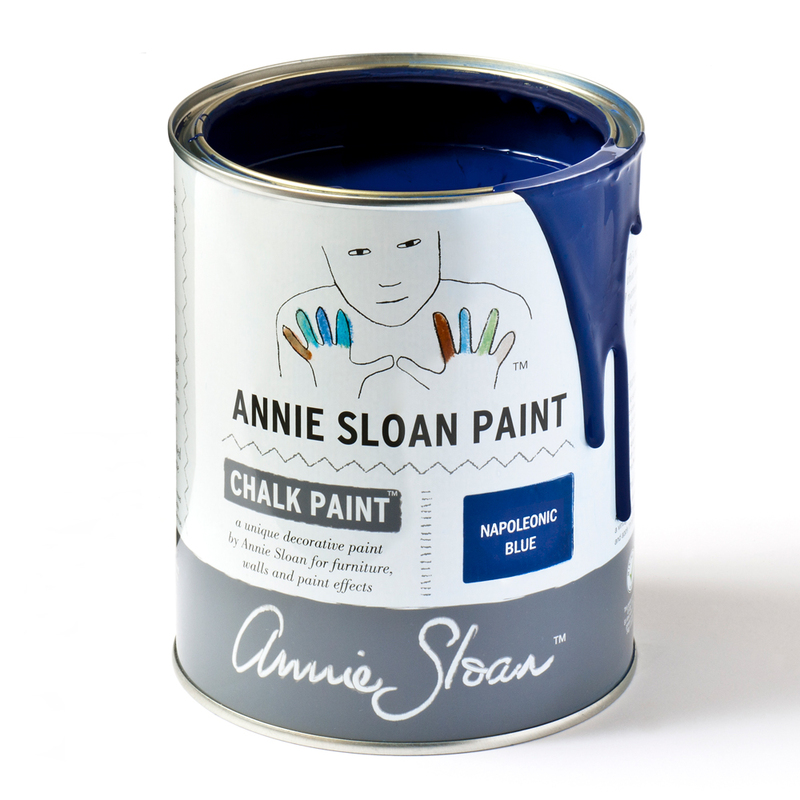 We sell Chalk Paint® ON-LINE! Click "BUY PAINT ONLINE HERE!" below!! 585.750.6056 OR visit ONE of our FOUR stores! This is spectacular! One of our customers, Laura Guncheon really disliked the colors in her entrance. I mean, REALLY disliked. 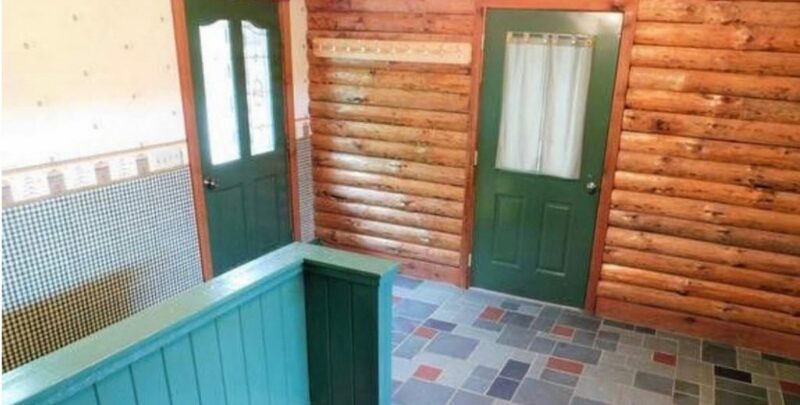 Between the floor and the hunter green doors and trim…she wanted a change. 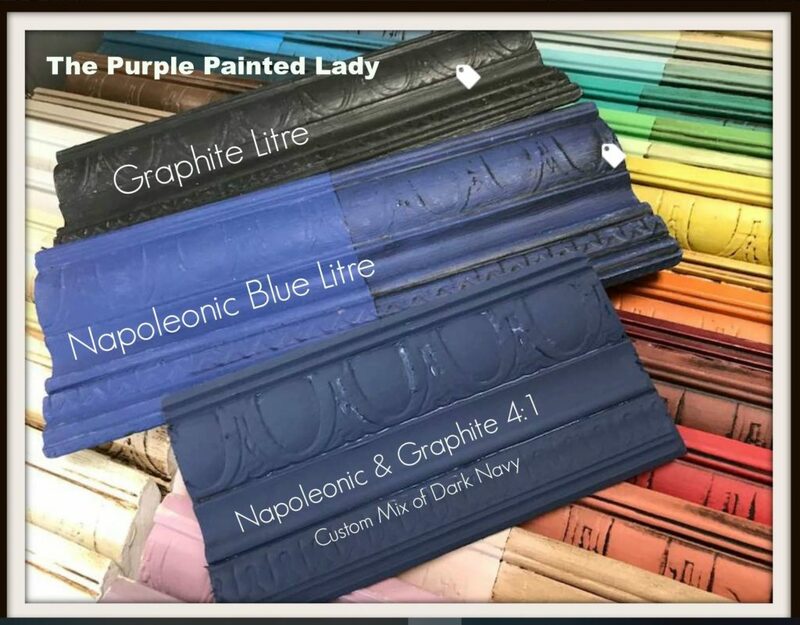 So, The Purple Painted Lady was able to step her through the process and she is so proud of the transformation that we just had to share it! Laura first cleaned her floor really, really well and then followed up with an additional rinse of fresh water to ensure there was not any soap residue left behind, or any dirt. Cleaner repel paint and not allow it to adhere to properly. The same goes for dirt. This is a boring step, I know! But do it well and take your time! Then, allow the floor to dry thoroughly (including the grout) before painting. 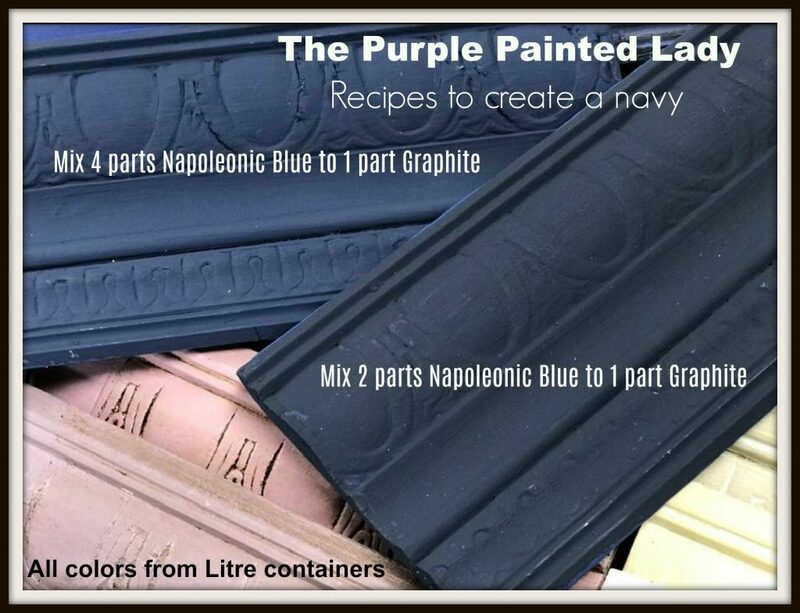 Graphite Chalk Paint® by Annie Sloan to cover the orange and grey slate tiles. Graphite packaged in a litre container (starting in 2019) is a soft black. I feel much more of a black than the Graphite that was once packaged in a quart container (pre Jan 2019.) I understand that this may be confusing so please call us with any questions you have on colors! 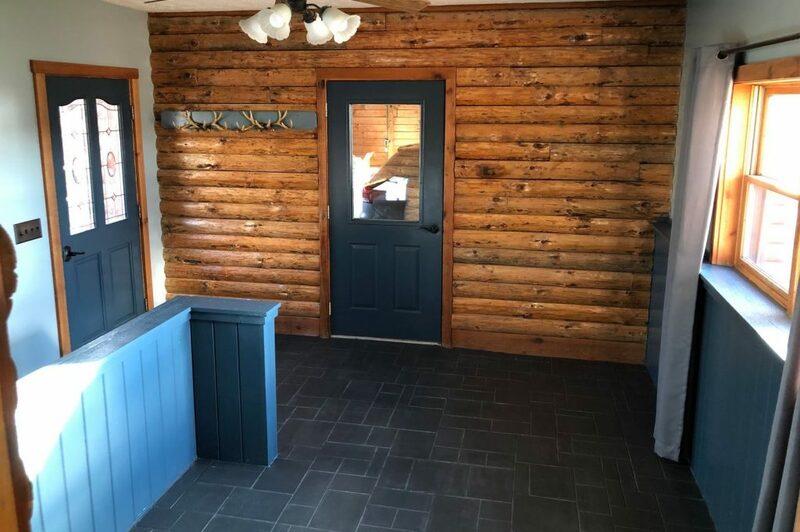 The image below is Laura’s Hunter “before” photo showing the Hunter green painted trim and doors that she was not a fan of. 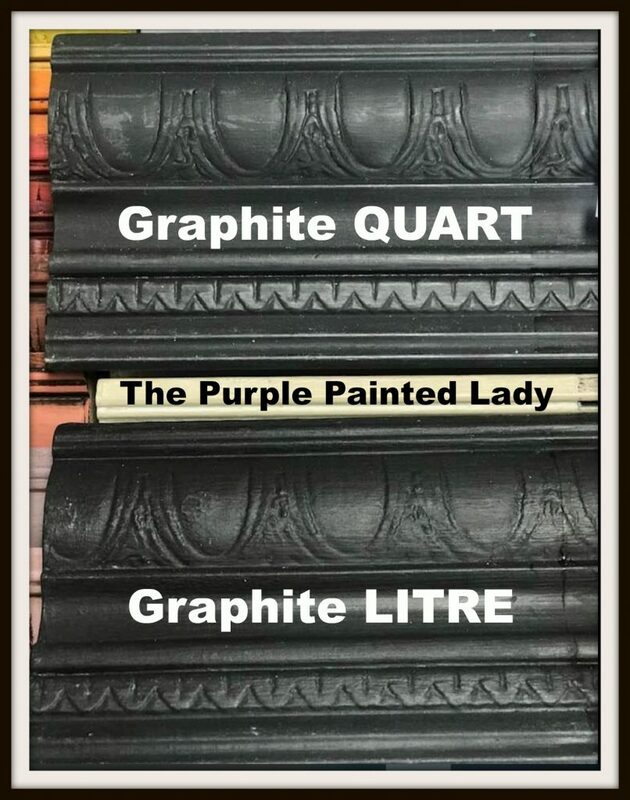 First Laura painted the grout lines with Old White Chalk Paint® by Annie Sloan. 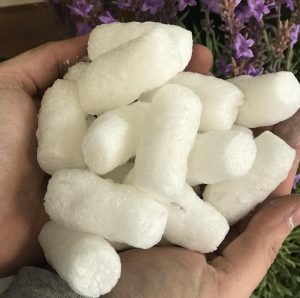 However, she realized once she began that she would not be happy unless they were the same size and decided it was more effort than it was worth to her. 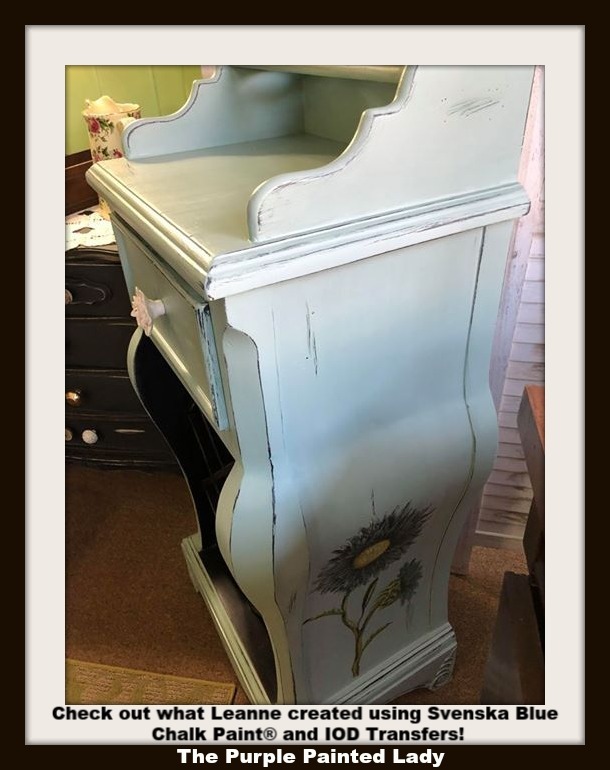 So, then she went directly to rolling on two coats of the Graphite Chalk Paint® by Annie Sloan, and then followed up using Annie Sloan’s Lacquer. 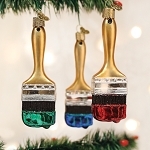 Keep in mind, that Lacquer does not like to be handled like paint! It is super important that you read the instructions we include and follow them to the “T” otherwise, you may have problems. 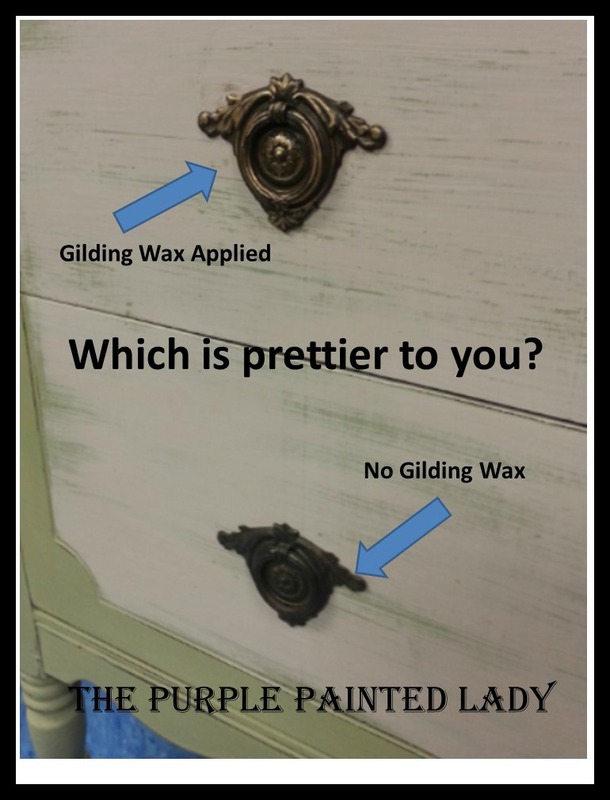 Click Here for important information about using Lacquer since it does NOT behave like paint. It is critical you read and follow the instructions we provide!!!! 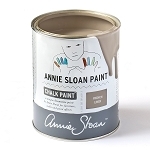 If you are looking to purchase Annie Sloan products- we are here to help you! Both on-line OR at one of our four locations in NY! 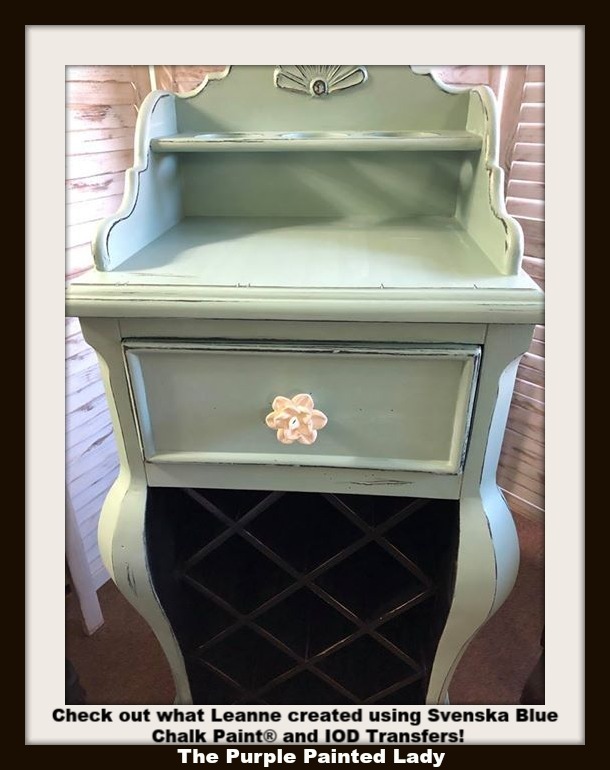 We adore this little wine cabinet that our customer, Leanne, refinished using Chalk Paint® by Annie Sloan in the color Svenska Blue. 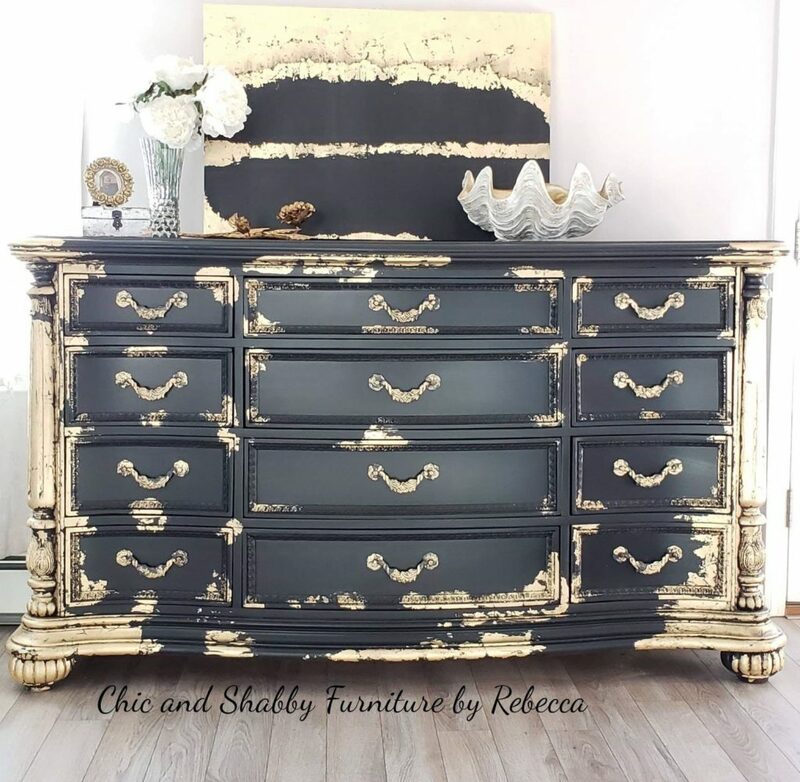 She also added Transfers by Iron Orchid Designs to give the piece a little something extra! We always start by cleaning a piece of furniture with either Odorless Mineral Spirits or Krud Kutter! Then, we will do a fresh water rinse to remove any left over chemicals from the cleaners. 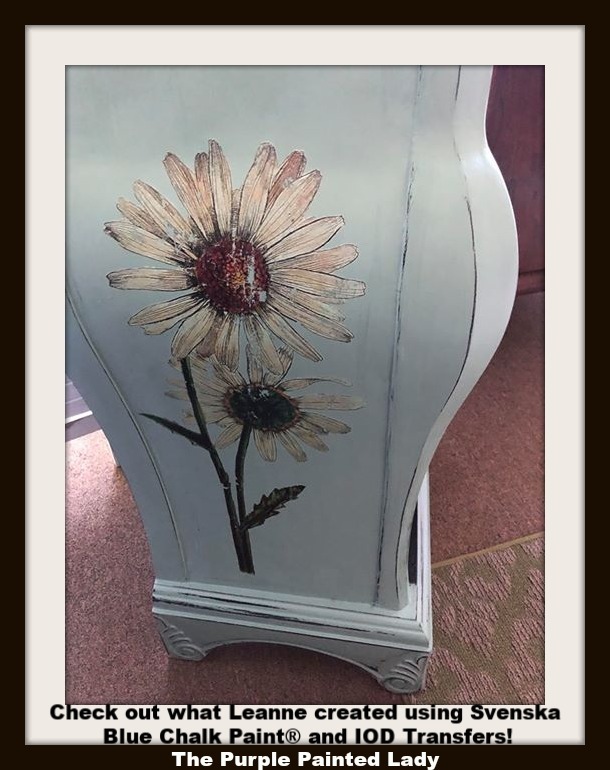 Sometimes…you can get away with just one coat of Chalk Paint®, but we typically recommend 2 coats to achieve full coverage. Next, I would apply the IOD Transfer. Leanne chose to use the transfer called Wild Flower Botanical. You can view our post HERE which gives step-by-step instructions on how to apply transfers. After that application, I would distress – I will even distress the transfer very lightly sometimes! Not everything is set in stone….some people may prefer to distress prior to applying their transfer – that part is up to your discretion! Last, would be the topcoat application. 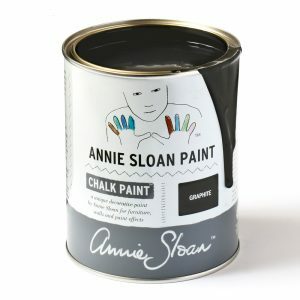 Personally, I LOVE Annie Sloan’s Chalk Paint Wax as a topcoat. Clear Wax gives such a nice, smooth finish….and I also like the fact that you are able to get a higher sheen by buffing if that is what you prefer! We actually have a video on how to apply Clear Wax HERE. Some people may prefer to use a brush on topcoat (like Clear Topcoat Sealer) over a piece they have applied a transfer to because they feel it is delicate, which is TOTALLY fine…but you can absolutely use Clear Wax without damaging your transfers! Leanne shared with us that when it comes to transfers….patience is key! Gather all of your information first – watch videos, read instructions, and get inspired! Leanne prefers to use a brush-on topcoat over her transfer, but like I mentioned before…wax is great, too!